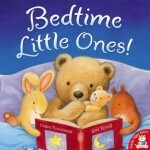 Picture books about bedtime can often help children (and parents) to survive the ritual of bedtime! Bedtime can be one of the most fraught, difficult times of the day. Children are tired, parents are tired and there is often resistance to the whole bedtime routine. 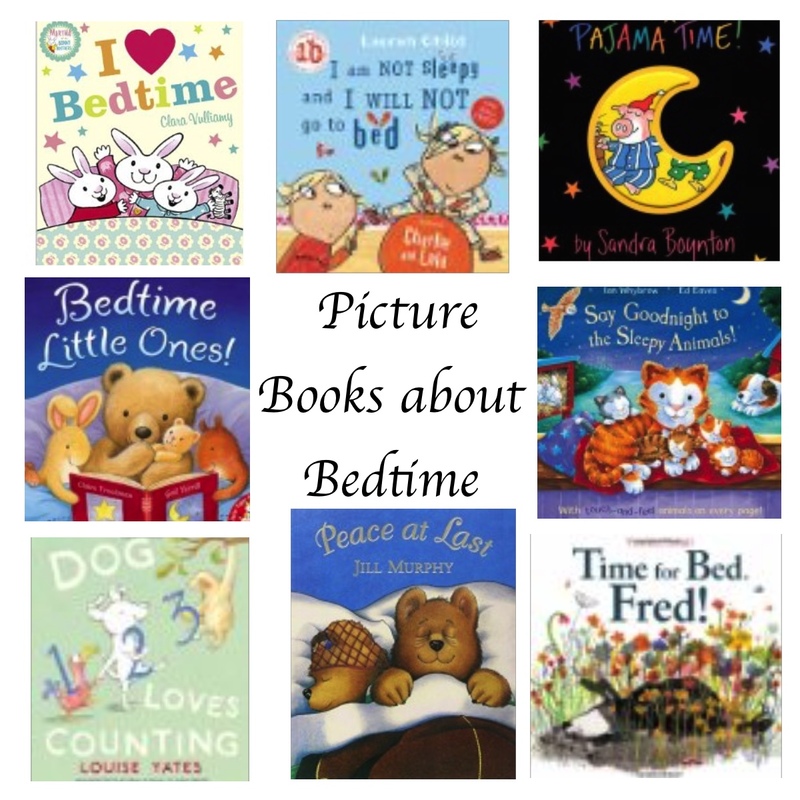 There are so many lovely bedtime stories that introduce characters going through various stages of getting ready for bed, our favourites include procrastinating bunnies, baths full of animals, ugly pyjamas and a bear who can’t get to sleep. Do your children have their own bedtime procrastination techniques like these characters? Martha is determined to get her bothers, Pip and Monty, into bed so she can spend time with her babysitter, Grace-next-door, but their delaying tactics including pretending to be super bunnies and practising gym. Puppy Fred employs all sorts of tactics to avoid getting into his basket, his behaviour is just like a small child! Lola’s delaying tactics include lions, tigers and whales. In the end Lola gets to bed but brother Charlie isn’t so lucky, his bed is already occupied! Do you have a going to bed ritual? 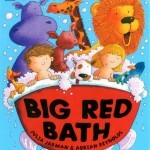 Ben and Bella’s bathtime turns into an extraordinary adventure when they are joined by a succession of animals! It’s time for the animals to put on their pyjamas in time for one last dance before bed – old, new, ugly, blue, any pyjamas will do! Cat goes for a walk to say goodnight to all the sleepy animals who are getting ready for bed then returns home to her own sleepy kittens. 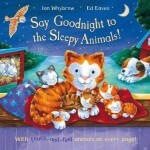 The bedtime routine is shown through the activities of various little animals. My daughter loves looking for the one little rogue animal that is not getting ready as s/he should! But what do these characters do when they can’t get to sleep? It’s a bit squashed when Eddie tries to get into the tent with Maisy and her friends but luckily they find a solution so that they can all go to sleep. Dog doesn’t just count sheep when he can’t sleep. His counting leads him to meet up with a menagerie of extraordinary animals! Mr Bear is thwarted when he tries to find a quiet place to sleep, who would have guessed that there is so much noise at night! 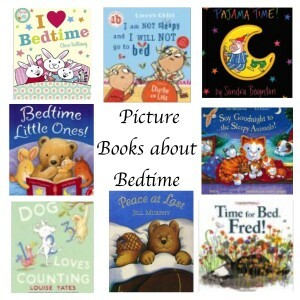 Do you have a favourite picture book about getting ready for bed? We’d love to hear about it in the comments. I always adore your lists. This one is great. I cannot wait to search for these books at the library this weekend. Hopping over as part of the Kid Lit Blog Hop. Thank you Jenny 🙂 Have a great library visit. 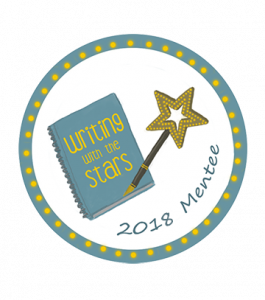 I’ve hopped over from the Kid Lit Blog Hop. My kiddos are much older now but they would ask us to read them anything we had around just to stay up late. 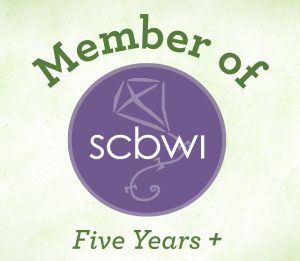 They could get away with it because they knew we wanted them to be lifelong readers. It was a win-win! Thanks for the list. I will tweet it out for others to see! Asking for more bedtime stories is such a well known procrastination technique! Molly Bang’s Ten, Nine, Eight is a lovely countdown as a little girl and her daddy prepare for bed. I don’t know that Goodnight Gorilla quite counts since its about a Gorilla escaping from the zoo, but he is snuggled in nicely between the zookeeper and his wife at the end! Bob Shea’s Dinosaur vs. Bedtime is another winner. Little Dinosaur roars his way through his activities, but he can’t beat bedtime! 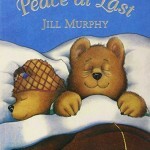 Peace At Last is a massive favourite in this house; we both love it! You are right that bedtime can be such a trying experience. 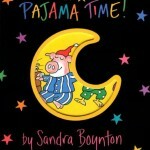 I love reading to my daughter as part of her nighttime routine. I haven’t read any of these books, but they sound adorable. 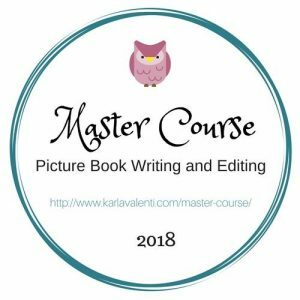 Saying hi from the Kid Lit Blog Hop. 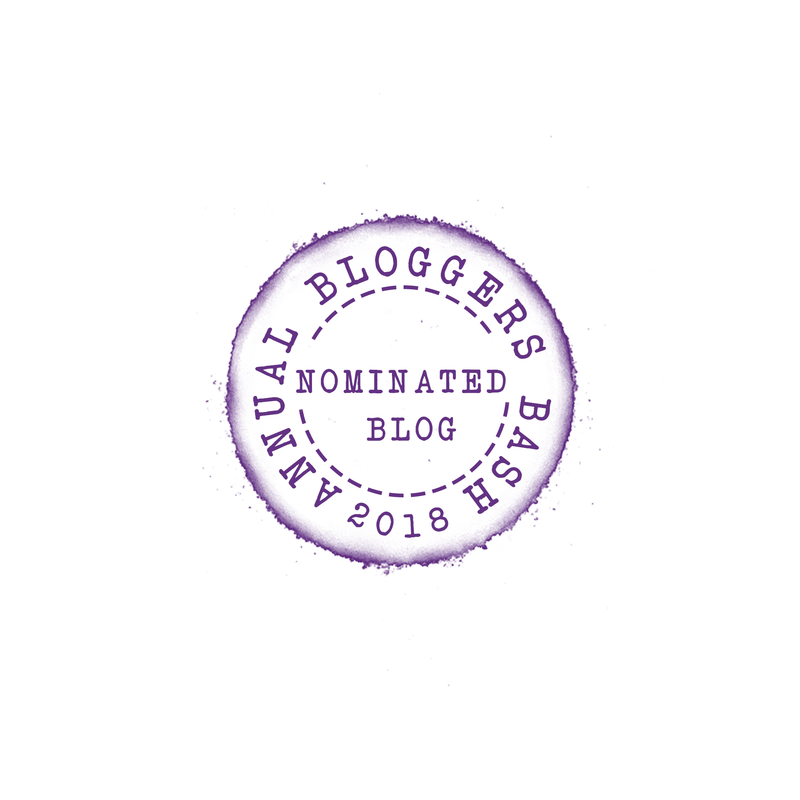 This is a lovely blog! 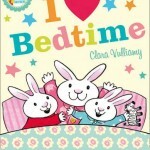 Our favourite bedtime story at the moment is the five minutes till bedtime one, with the pirates, it’s ace! I have to say I haven’t actually read any of these books with my kids, but will be looking in to them! 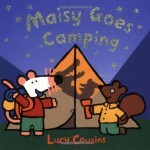 You have two of my favourites here – Maisy Goes Camping and Peace at Last. Both beautiful and fun. My son is a huge Maisy fan actually. I think he likes the vibrancy of the illustrations.